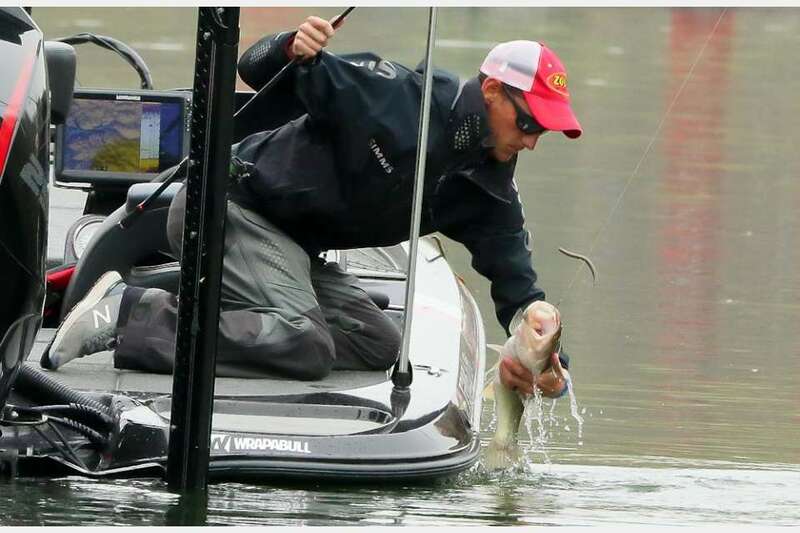 Brandon Cobb held onto the top spot on the leaderboard from start to finish in this weekend's Bassmaster Elite Series event on Lake Hartwell in Anderson, South Carolina. The Power-Pole anchor-equipped angler from Greenwood, SC -- just a short drive from the tournament venue -- made the most of his "home lake advantage" with a four-day total of 72-4, including a final-day catch of 16 pounds, 14 ounces on Championship Sunday. Hartwell did most of his damage in the shallows where the bass were bedding. He credited his Power-Pole anchors and a 1/8-ounce Greenfish Tackle shaky head with a green pumpkin Zoom Trick Worm for helping him land the fish almost immediately after they were spotted. It was the first-ever Elite Series win for Cobb, who took home the $100,000 purse for the event. Fellow Power-Pole pros Stetson Blaylock (68-11) and Micah Frazier (63-6) rounded out the top three for the tournament. Florida's Drew Cook finished fourth (63-4) to move into the overall lead for this season's Toyota Bassmaster Angler of the Year standings.